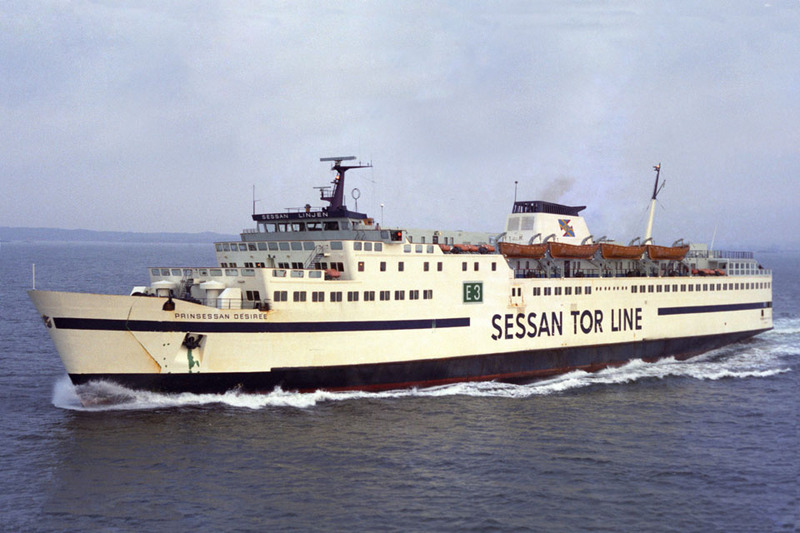 Steel twin screw motor vessel built in 1971 at Aalborg Værft, A/S, Ålborg, Denmark (Yard No 190) for Rederi AB, Goteborg Frederikshavn Linjen, Sweden (operating under the name of Sessan Linjen) as a passenger and vehicle ferry. Speed: Max 21,0. Service 18,0. 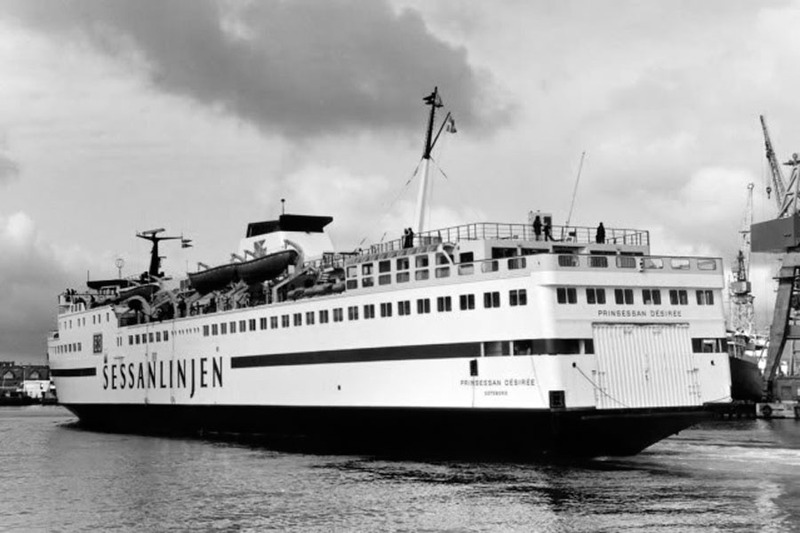 June 1st 1971: Delivered to Rederi Ab Göteborg-Frederikshavn Linjen Ab, Göteborg. 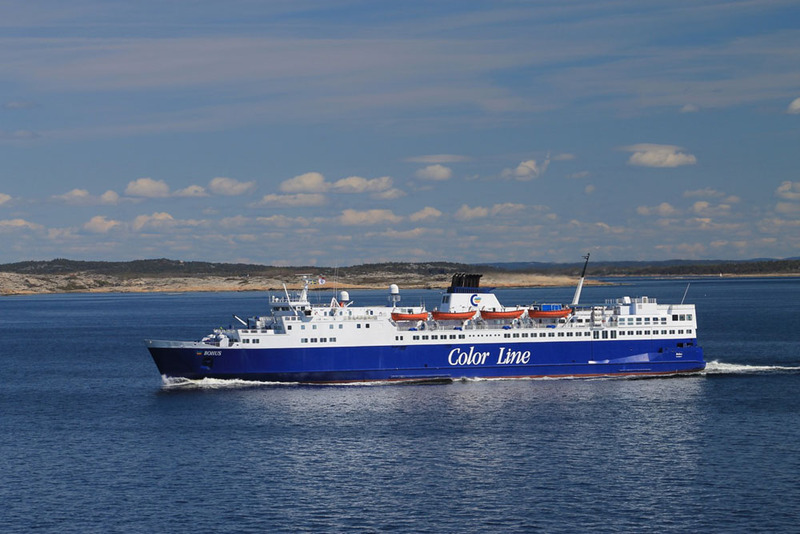 (Sessan Linjen). 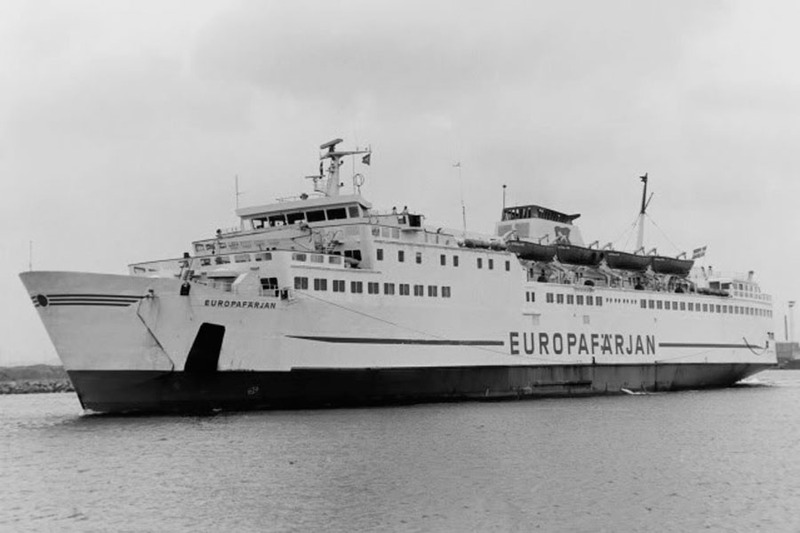 June 1971: Commenced service between Gothenburg – Frederikshavn. 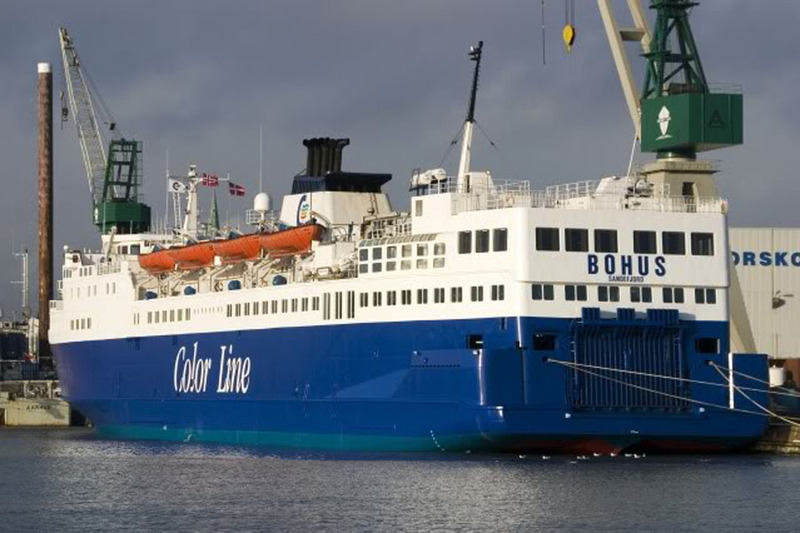 January 1st 1980: The new company of Sessan Tor Line, Göteborg made up of Tor Line and Rederi Ab Göteborg-Frederikshavn Linjen Ab, Göteborg was formed. 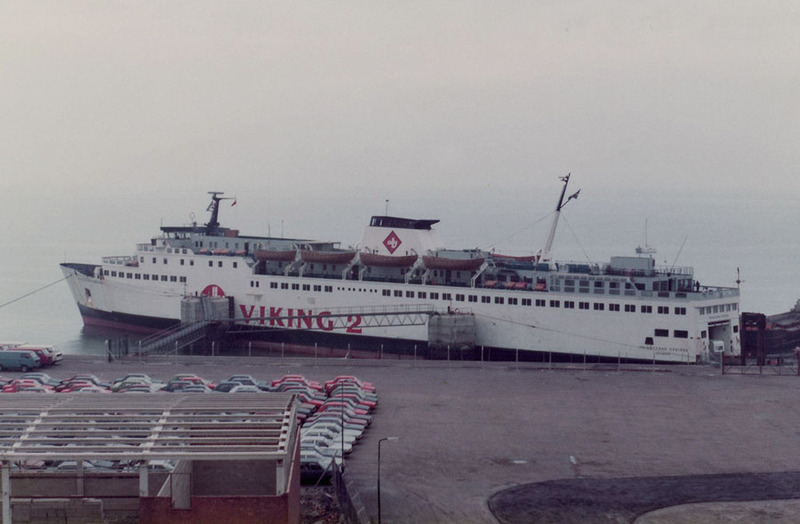 February 1981: Registered to Stena Line, Göteborg. 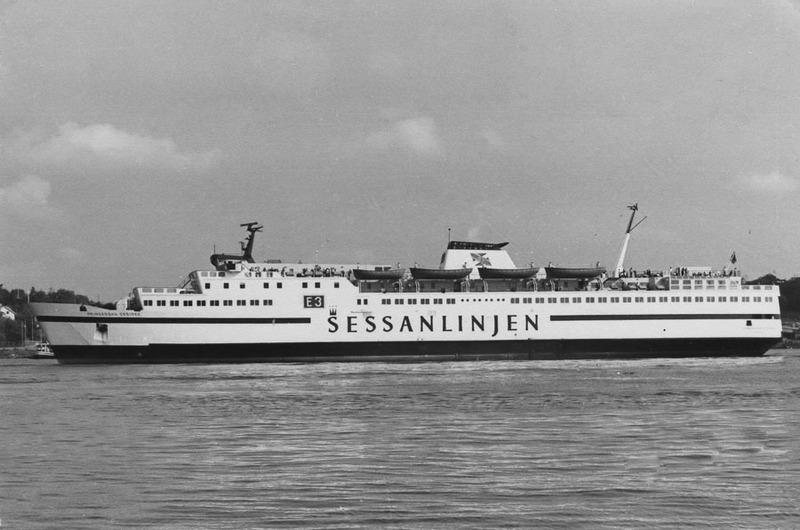 February 1981 – April 10th 1981: Operated services for Stena Sessan Lines between Gothenburg – Frederikshavn. 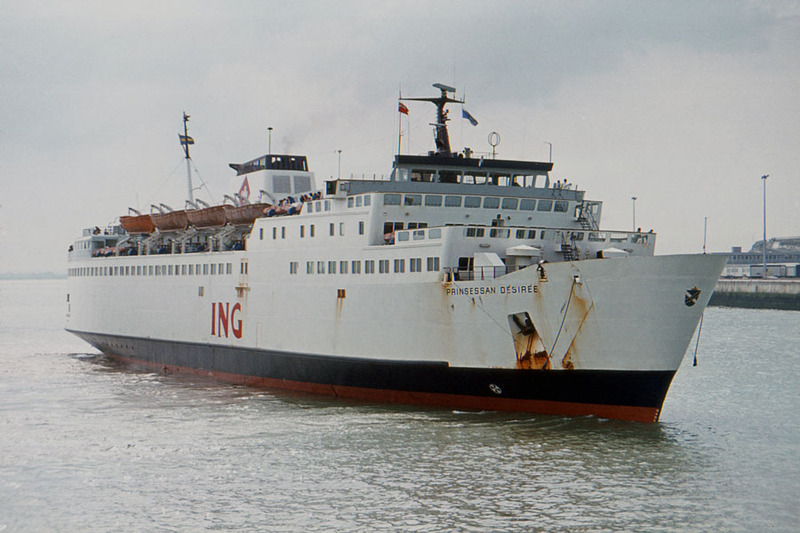 April 1981: Chartered to Bandi Line for services between England and Ireland. 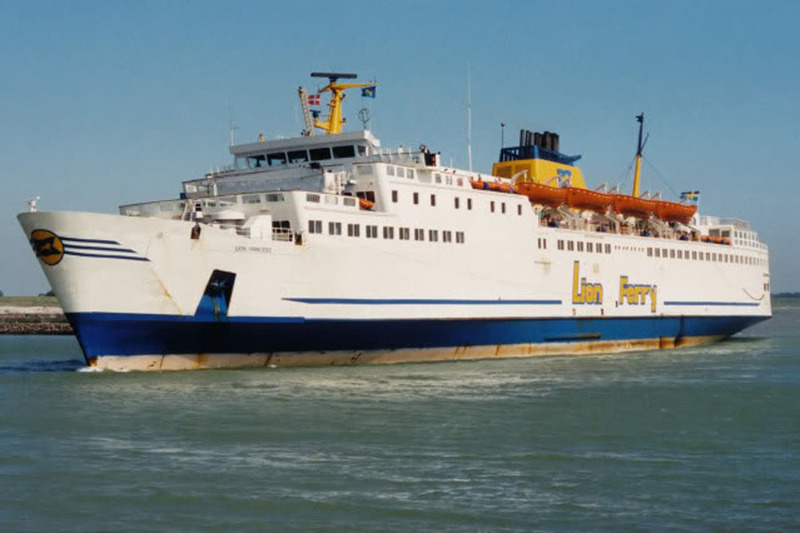 May 6th 1981 – June 7th 1981: Chartered to B&I Line, Dublin, Ireland for services between Pembroke – Rosslare. 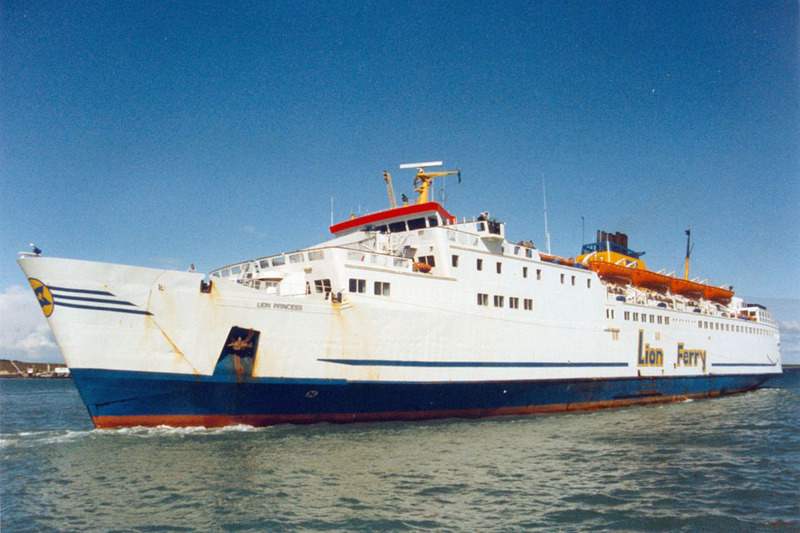 July 9th 1981 – August 10th 1981: Chartered to Sealink U.K. Ltd for services between Holyhead – Dun Laoghaire. 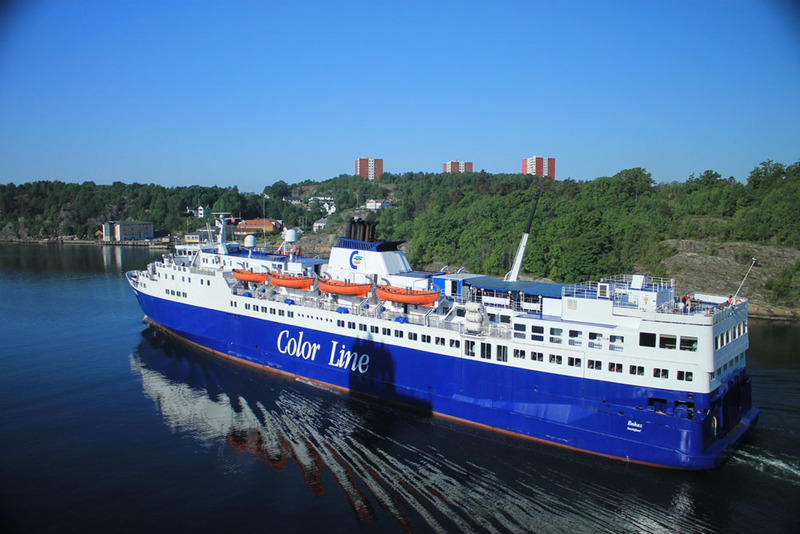 September 1981: Charter completed and returned to services between Gothenburg – Frederikshavn, then being laid up in Frederikshavn. 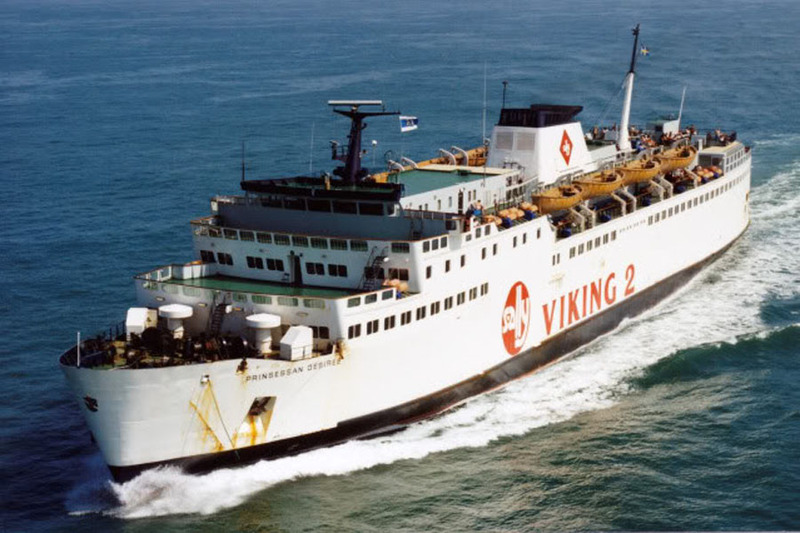 June 26th 1982 – September 5th 1982: Chartered to Sally Line U.K operating between Ramsgate – Dunkerque and under the trade name of VIKING 2 painted on her hull. 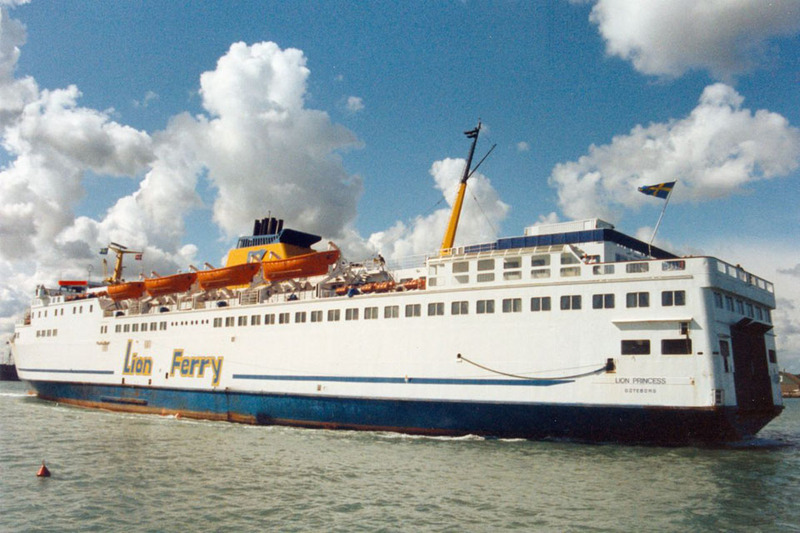 October 1982: Charter completed and laid up in Gothenburg. 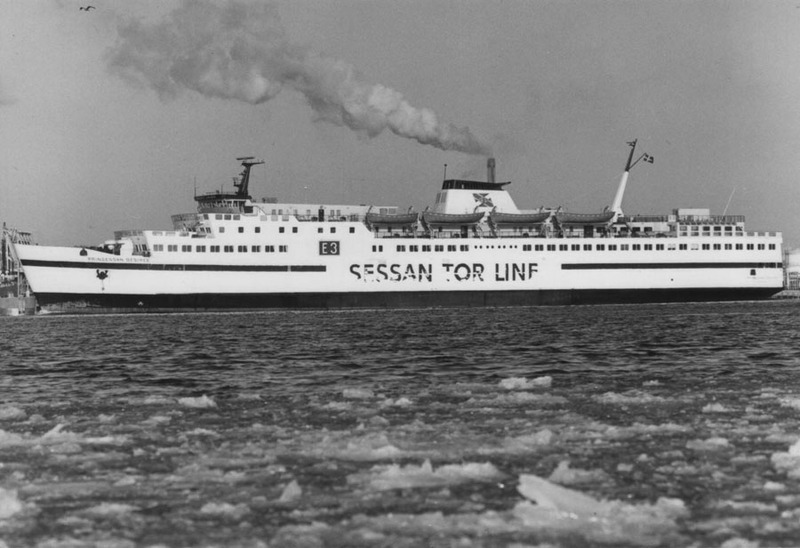 March 1983: Transferred to Varberg-Grenå Linjen Ab, Varberg. 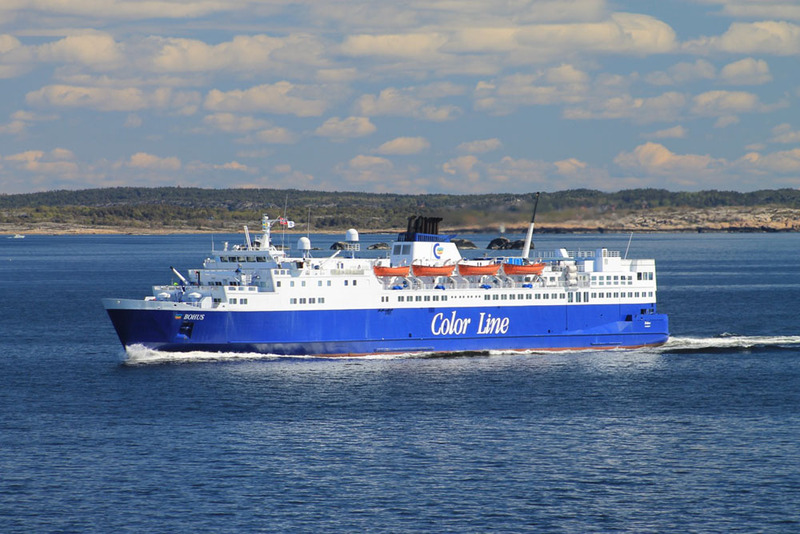 (Stena Line Ab) and renamed EUROPAFÄRJAN operating services between Varberg – Grenå. 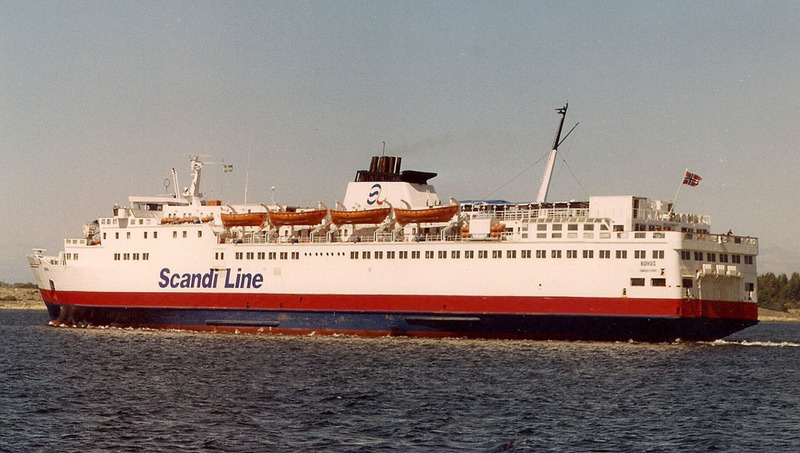 1984: Registered to Stena Line Ab, Göteborg. 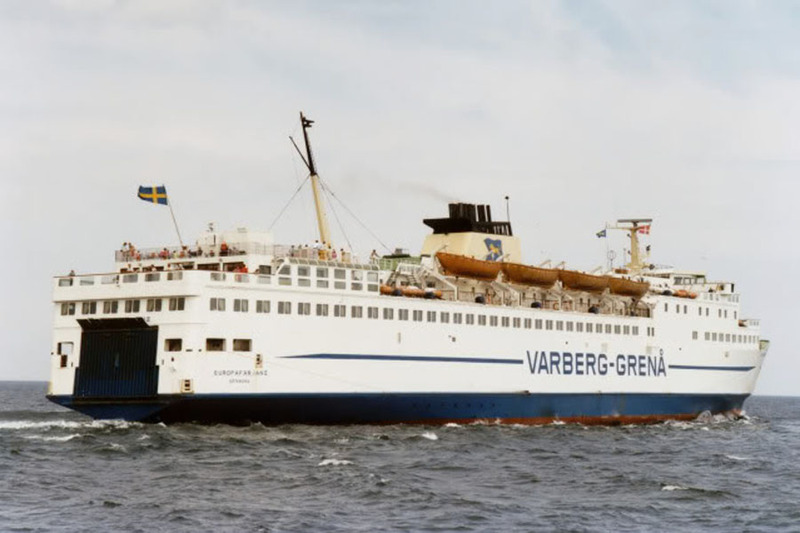 1984: Registered to Varberg-Grenå Linjen AB, Varberg. 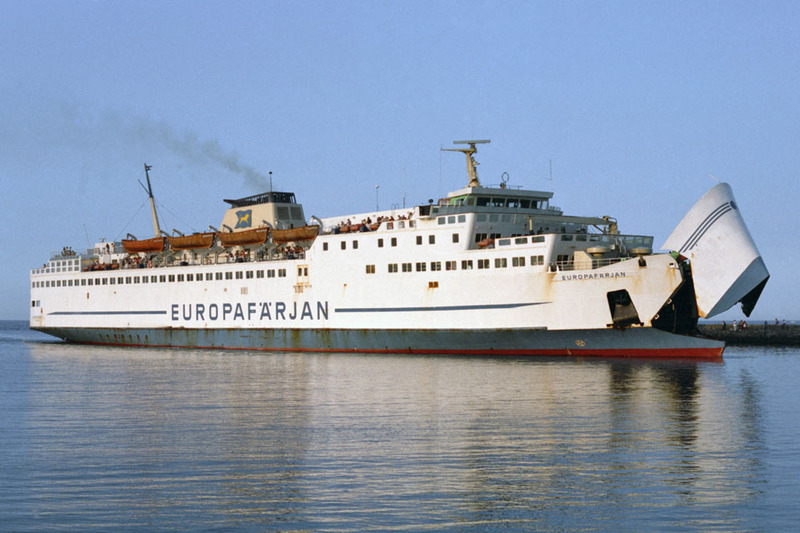 1985: Registered to Lion Ferry Ab, Grenå and renamed EUROPAFÄRJAN II. 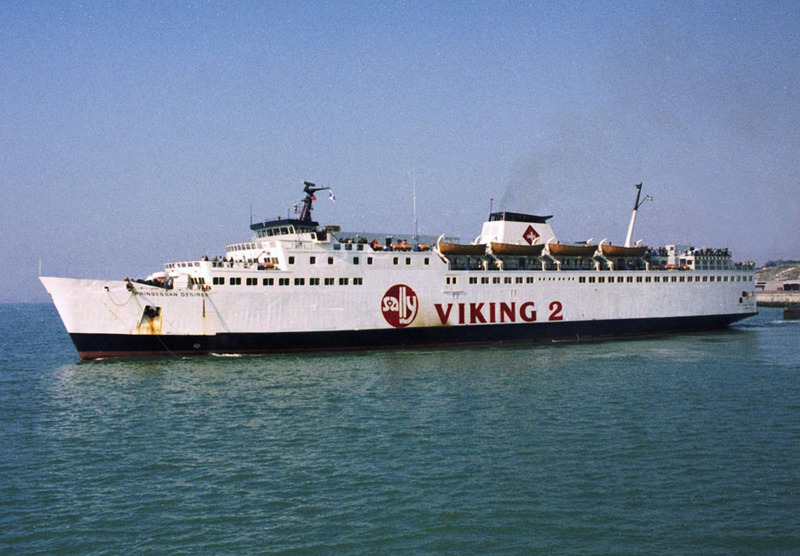 1986: In the summer months operated between Varberg – Grenå – Helsingborg. 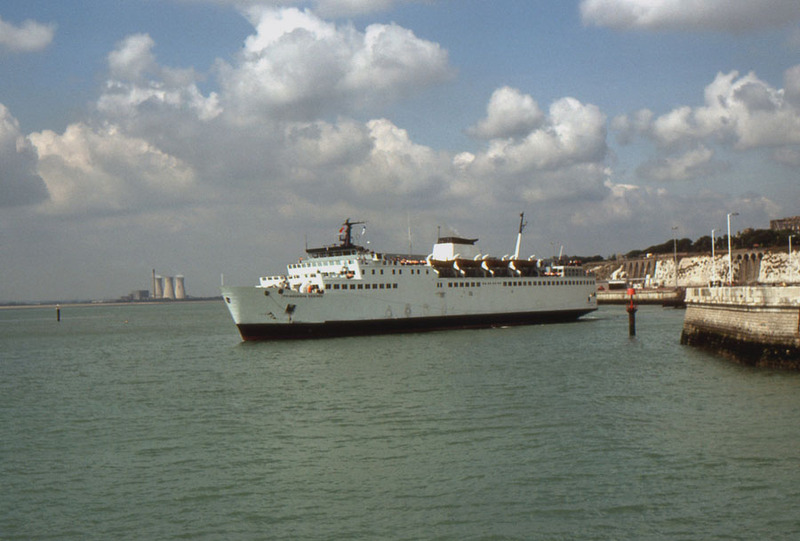 March 1987: Renamed LION PRINCESS. 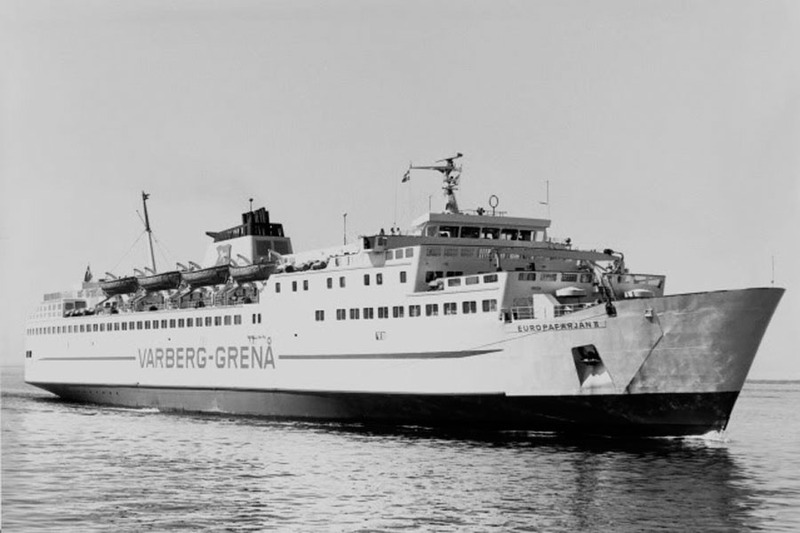 October 29th 1989: Put on the Helsingborg – Grenå route. 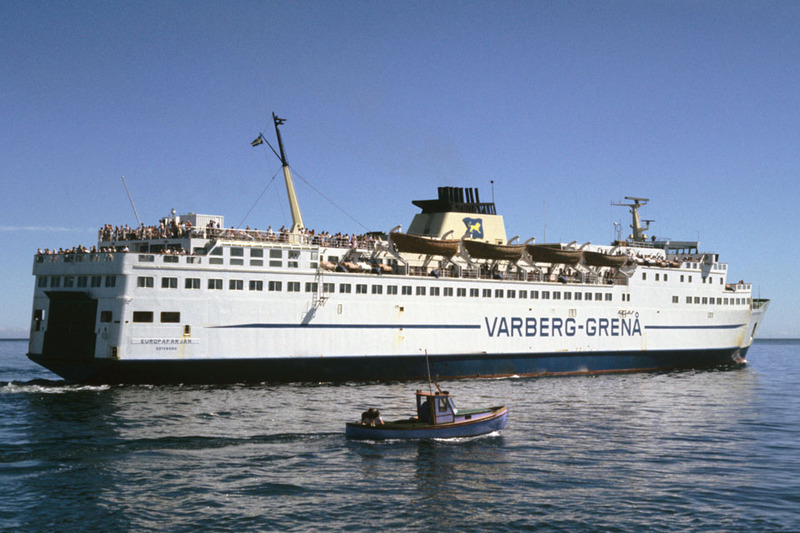 October 30th 1989: Commenced services between Varberg – Grenå. 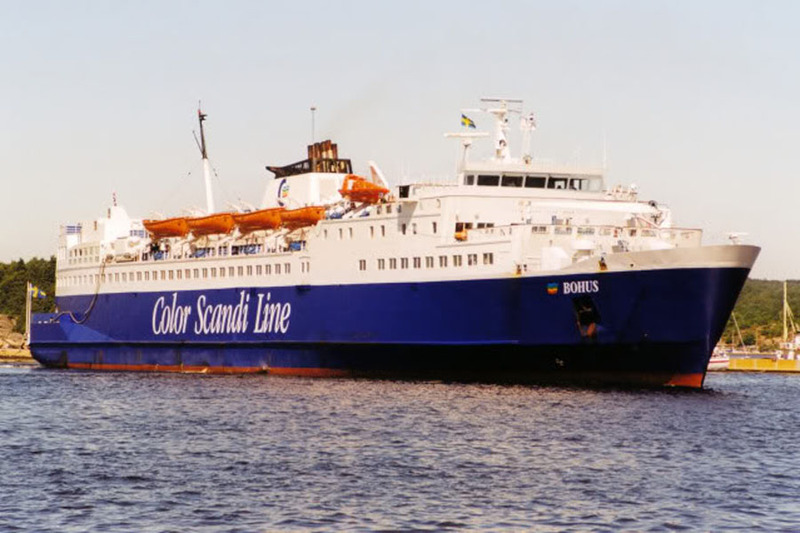 1990: Operated some services between Halmstad – Grenå. 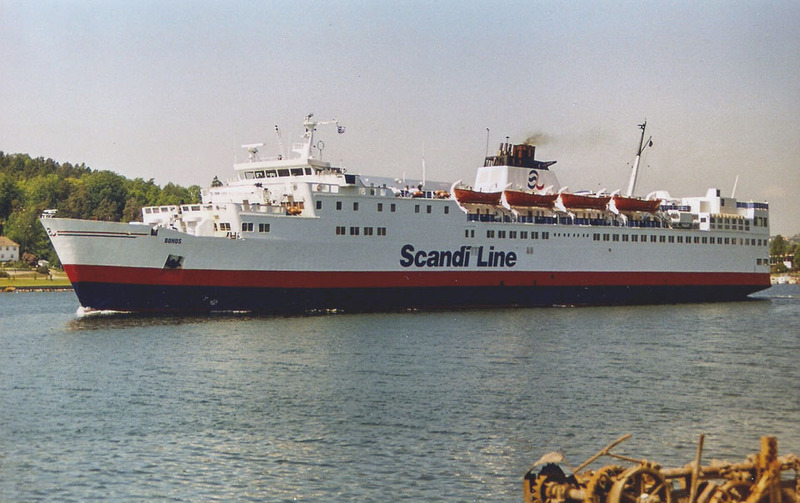 December 1993: Sold to Scandi Lines A/S, Sandefjord, Norway. 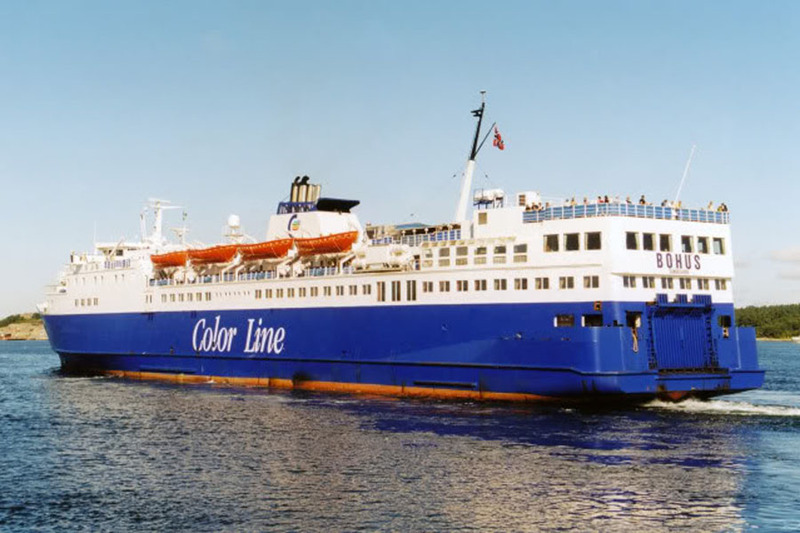 March 1994: Refit at Götaverken, Göteborg and renamed BOHUS. 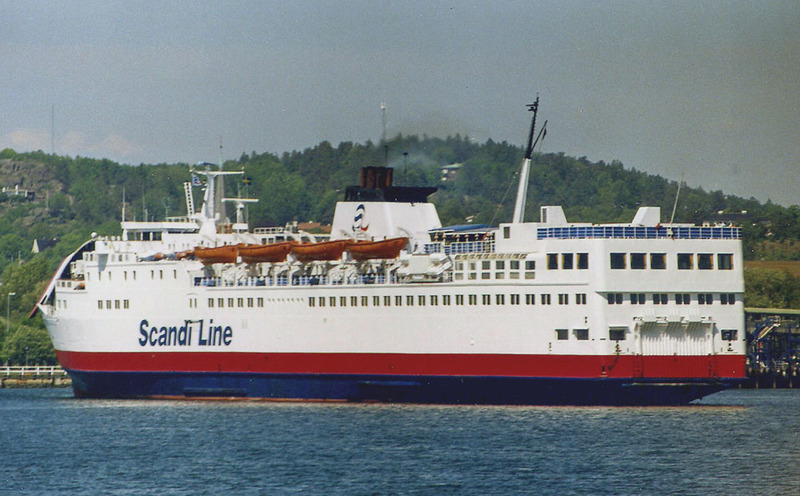 April 14th 1994: Commenced services between Strömstad – Sandefjord, also relieving between Larvik – Frederikshavn. 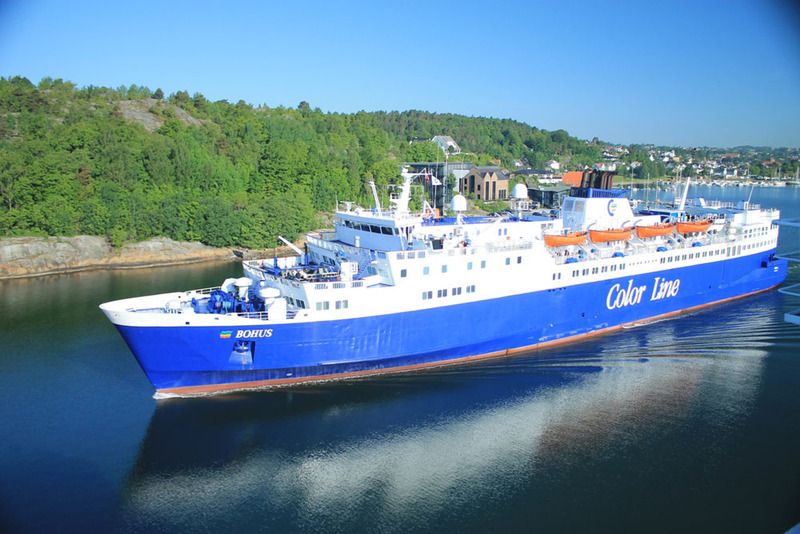 January 1st 1999: Registered to Color Line A/S, Oslo. We would like to thank: Tony Garner, Frank Heine, Pieter Inpyn, Dirk Jankowsky, A G Jones, Ken Larwood, Christoph Podlucky, Joerg Seyler, Marko Stampehl, Jürgen Stein, Morten Bø and Andreas Wörteler their assistance in producing this feature. All information is believed to be correct and no responsibility is accepted for errors and omissions.